Angular Training in Dallas Can Get You Ahead! Angular Training in Dallas! Here’s some insight to get you started! You may have heard that everything is bigger in Texas, and Dallas is no exception. Dallas, also known as the “Big D” by residents, is home to 21 Fortune 500 companies including Exxon Mobil, JC Penney, AT&T, Texas Instruments, and boasts the largest urban arts district in the nation, 14 entertainment districts and more per capita retail space that any other city in America. Although Dallas is best known for traditional businesses, including the cotton and petroleum industries, the Bureau of Labor Statistics reports that the Dallas professional services sector, which includes information technology, has grown 1.8 percent faster than the national mean. Web Age Angular private and public classes are taught at locations throughout the Dallas area and other Texas venues, delivered in traditional classroom style format. Online Angular Training is also available in a synchronous instructor led format. Dallas is a great option for IT professionals in search of work. A study conducted by SmartAsset lists Dallas as #14 on their list of the best American cities to work for tech workers based on five metrics: what percentage of the local workforce was employed in tech fields, the median salary of tech workers compared to the average national wage, the unemployment rate, and how the overall cost of living. Web Age works directly with a large number of Dallas IT employers who have more open positions than they can fill. Trey Bowles, co-founder of the Dallas Entrepreneur Center, said in an interview with the Dallas News that “there’s no problem with demand. People want more talent than we have.” Candidates who stay on top of latest IT trends and technologies such as Angular, will have innumerable job opportunities. What is Angular? Should I attend Dallas Angular classes? When first released, the next generation of the ‘AngularJS’ framework was called ‘Angular 2’. Since new releases will make this term outdated, the current terminology for the framework is simply ‘Angular’. 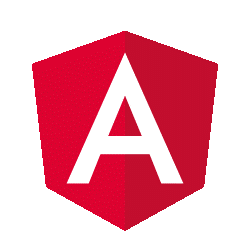 ‘Angular 7’ is the most current version of Angular. By employing two-way data binding, it lets us manipulate DOM with much less code than jQuery. Using HTML templates, it lets us dynamically add complex DOM element structure, which will be very difficult to do using plain DOM API or jQuery. It lets us write Single Page Applications (SPA). If you are writing an SPA style application or need to do many complex DOM manipulations, AngularJS will be a framework of choice. Each Web Age Angular course in Dallas is developed in-house and capture the development best practices gathered from projects we have worked on. Our Dallas Angular classes are extremely hands on and every module is followed by a lab to teach you how to use AngularJS, Angular 2, Angular 4, Angular 5, Angular 6, or Angular 7. Contact us to see how we can provide onsite customized training in Dallas for your team.